Every pregnant woman hopes for a perfect pregnancy. No one hopes or wishes for the complications like a subchorionic hemorrhage that so many women endure, especially pregnancy complications like that in the first trimester. 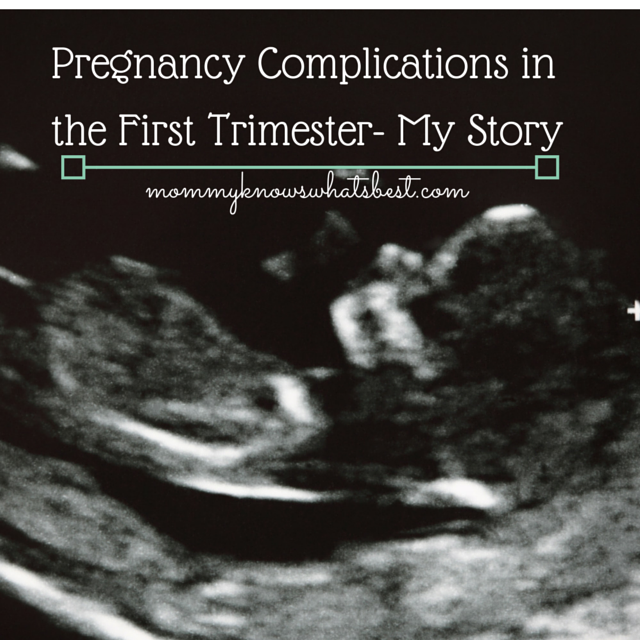 My fourth pregnancy, unlike my previous three, is…well..complicated. I expected the morning sickness; in fact, I welcomed it even though I complain about it all the time. Morning sickness, or in my case all-day sickness, is a blessing in disguise. It usually means all is well. It’s a welcome symptom, especially after my miscarriage last year. I expected the weight gain, even though I have been trying for months to lose weight to be healthy. Carbohydrates are my friends during morning sickness. Soon I’ll be past it and eating right again. I expected the exhaustion. 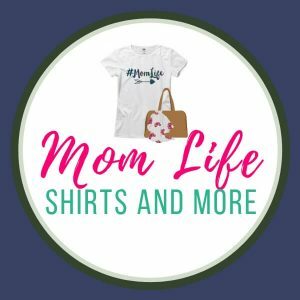 Early pregnancy, plus caring for three very-active kiddos. Yep. Check! I expected the early baby bump. This is my fourth baby after all, and my abs are just shot. I even expected the aches and pains. My joints and bones knew what was coming and everything has shifted already, even though the baby is only the size of a lime. I didn’t expect the bleeding at 8 weeks. It was slight, but after the last pregnancy, I thought it wise to see my doctor anyway. At that time, they just thought it was old blood. Baby was doing well on ultrasound with a strong heartbeat. I didn’t expect the lime-sized blood clot and bleeding at 12 weeks. This is where the story gets complicated. Before I go on, the baby is fine. Kicking around and having a jolly ol’ time, with a strong heartbeat around 167. In fact, I have started to feel the little flutters and bumps in my belly (which isn’t unusual so early since this is my fourth baby). On the night that I was 12 weeks and 2 days, I felt great. I had a great appointment at the Maternal Fetal Specialist Doctors, seeing the baby bouncing around on the ultrasound and hearing from that doctor that the baby looks great at this point. I went home and had a nice evening with my kids, hubby, and youngest sister, who had been watching the kiddos while we were at the doctor. Kids were riding their bikes and scooter, and soon it was bedtime. –a lime sized clot and blood. I have never panicked so much. At first, I tried calling my husband’s name but nothing came out. Then just sobs, and finally I was able to call out to him. Long story short: booked it to ER (my sister had stayed with the kids), had ultrasound and saw the baby (THANK GOD), and was told to see my doctor in the morning. I thought I heard the ER doctor say that I had a Subchorionic Hemorrhage, but his report didn’t say that. Unfortunately, that’s exactly what my doctor saw on the ultrasound in the morning. What is a Subchorionic Hemorrhage (also known as Subchorionic Hematoma)? A subchorionic hemorrhage is a collection of blood between the uterus and the chorion, which is the outer part of the sac where the baby is. It can be found on ultrasound or can be found from bleeding. The blood can either slowly leak out, making the clot smaller, or it can reabsorb back into the body. In both of these cases, no harm is done to the baby. If the blood clot grows or is too close to the placenta, it can cause problems, and in some cases, even miscarriage. Most of the time, everything resolves itself by 20 weeks and the pregnancy proceeds as normal. In fact, many of the stories I found thanks to the grand ol’ Google are very positive. (Thank goodness, because otherwise I’d be more of a mess right now). Bottom line: the baby is doing well. PHEW! I can still feel him/her in there. I still have all pregnancy symptoms. The doctor is going to see me again in two weeks for another ultrasound. He said to expect slight bleeding and clots. He didn’t seem concerned about it affecting the baby as the clot isn’t near the placenta and is about the size of a walnut. As long as it doesn’t grow, everything should be fine. In the meantime, I cannot lift anything other than my youngest child, and I have to rest when possible. I have read that many women are put on bed rest, but he doesn’t feel that is necessary for me at this time. So friends, please keep me in your thoughts and prayers. It’s going to be a long and stressful pregnancy for me! 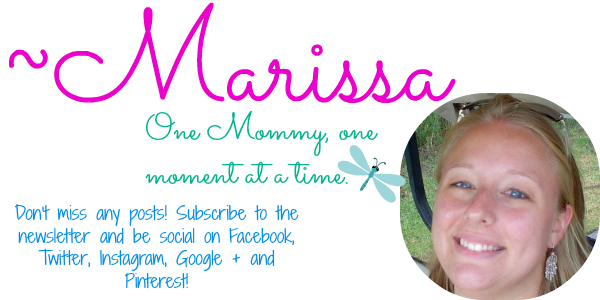 I may not be as active here on the blog or on my Facebook page, but I’m going to try to do my best. I visited my doctor again for another ultrasound. While the bleeding has subsided, the hemorrhage grew a bit. I’m not sure of the measurements exactly, but it’s in the 4 cm range right now. From what I understand, that’s small/medium in terms of size. I have another appointment with my maternal fetal medicine doctor soon, and then another ultrasound in August. Please continue to keep me in your thoughts! My SCH was undetectable by ultrasound by 17-19 weeks. I had no other complications related to it. My baby girl was born December 2015 and is now 3 months old. She was healthy at birth and continues to be a healthy little girl. I had the same problem with my son, following 2 miscarriages, and it’s so scary! I can remember the stress and worry all too well. I hope you are still able to find your joy in the little kicks and flutters. I hope that it’s some reassurance to you that my boy held on tight and came out at nearly 43 weeks (yup… that would be just about 10 months pregnant. Oiy!) with a little help from the docs. He was nearly 10 pounds and just as healthy as a kid can be. Take good care of yourself. Thoughts and prayers are coming your way! Oh, that is definitely reassuring! Thank you so much for sharing your story with me! I’m having the same issues im 13 weeks an 3 days. Got put on pelvic rest till I saw my ob! My little is active and has a good heart beat the blood that was seen over the weekend is now gone. Glad everything is okay for you! I too am on pelvic rest. Forgot to mention that. Take care, and I hope things continue to go well for you! What a happy ending! So sorry you had to go through all of that. It had to be so difficult! So sorry to hear about all of this, Marissa. But you are a strong and healthy young woman and I will be praying, in fact I have been praying for you and your baby and family all along. Keep the faith and continue to look up. Pregnancy complications are so scary, I had a mild placental abruption and blod clot at 22 weeks. That’s a scary complication too! Hope everything turned out okay! Whew! That is pretty scary, I would have done exactly what you did. Glad your okay and the little one is doing great. Super great news! I also had a blood clot with very similar (and equally alarming) bleeding. I lost some blood at about 9 weeks and was put on pelvis rest. At 11 weeks, I had returned to exercising and I left the U.S. to participate in an archaeological excavation–my doctor cleared me to go, but told me to expect more bleeding (and to return to pelvis rest when bleeding) and that there was a chance of miscarriage, but there was nothing that could be done for that at less than 20 weeks no matter what country I was in. (Plus I was headed to the UK where medical care was good if I should miscarry or start bleeding heavily.). I lost more blood during my 10 weeks in the UK, never sought medical care, and it was scary, not knowing about the state of my pregnancy. But, my bumb continued to grow and upon returning home at my 20-week visit I learned that I was still pregnant with a heathy girl, still had the blood clot, and my uterus had divided into half (yes, apparently they can do that) so that baby was in the left side and blood clot was on the right. The good news was that the placenta was separate from the blood clot, but the bad news was that a divided (bicornuate) uterus has its own risks. As fate would have it, I had my last bout of scary heavy bleeding the night after my “all looks pretty good” 20-week appointment and was admitted to the ER where they basically did nothing but monitor me. The rest of my pregnancy was relatively “normal” although I had extra appointments and was labeled high risk because of my divided uterus. The doctor Was concerned that I would go into labor pre-term because baby would run out of room to grow in only half of my uterus. I continued to exercise and stayed active until I went into labor at 38 weeks, giving birth vaginally to a healthy (but small) 5 lb 4 oz baby girl! She is currently almost 7 months old and rolling all around the living room as I type! She’s still small for her age, but is slowly climbing up the growth chart. So stay positive–despite a rather large blood clot ( I vaguely remember mine being a little over 3 cm at one point) and a bicornuate uterus, all went well! But it was certainly a stressful and worrisome first pregnancy. The frequent doctors appointments helped to reassure me and once I could feel her moved, that also helped. I wouldn’t wish the extra worries on anyone, so I know how scary this time can be. I am hopeful that my next pregnancy will be less eventful. Thank you so much for sharing your story with me! I just got back from the doctor where I was told the SCH grew a tiny bit, but my baby is healthy and stable. Your positive story means so much to me! Cousin Charlene’s daughter Jaque had the same problem. Remember praying for her in church? She has a healthy baby now. We are praying for you, the baby, and the whole family. You have brought so much joy in our lives and we love you very much. I didn’t realize that was the complication she had. Good to know her baby is healthy! Hi, I was diagnosed with Subchorionic Hemorrhage too at 10 weeks. Looking for online data I found your blog (thank God, because I was freaking out). So what happened to yours? Did your body absorbed it? by when? Hi Carla, I’m so sorry you have to experience this. It was the scariest thing I ever experienced! My SCH bled out and was officially gone by around 17 weeks. I continued to have a healthy pregnancy after that and now have a baby girl who is 2 months old. Hang in there, and take it easy. Most of the time SCHs go away and you can have a perfectly normal pregnancy after that! I truly am hoping for the best for you and your baby. I’m trying to stay super positive. Mine is closer to my cervix, and baby is on top. Just complete 12 weeks of pregnancy. Praying for everythingto be over soon. I am 21 weeks today. I had a major bleed 2 weeks ago and immediately went to the er. They said everything seemed ok and had me go see my obgyn the very next day. My sono tech did an internal sono and found a sch. It was very small so it didn’t bring them much concern. I was put on bed rest until today. I had my next check up today. The sono tech said the sch had grown too. My obgyn said it usually will go away with time but there are risks. Bad ones. Only if it gets behind my placenta. Right now it is on the complete opposite side of my uterus as the placenta. Baby is growing and is healthy. I honestly feel fine but the doc put me on bed rest until the sch dissolves. Hopefully it’s a good sign that my bleeding is down to very light dark red spotting but i just am worried it grew. That part seems odd. I also hate feeling utterly incapable of doing anything to keep this sch from my baby’s placenta. I can tell you it’s good to find this blog out here. Hopefully i have a good story to share in 20 weeks as well. Hi Jessica, I’m sorry to hear about the sch. I think bed rest was a good idea. Sometimes too much activity could make things worse. 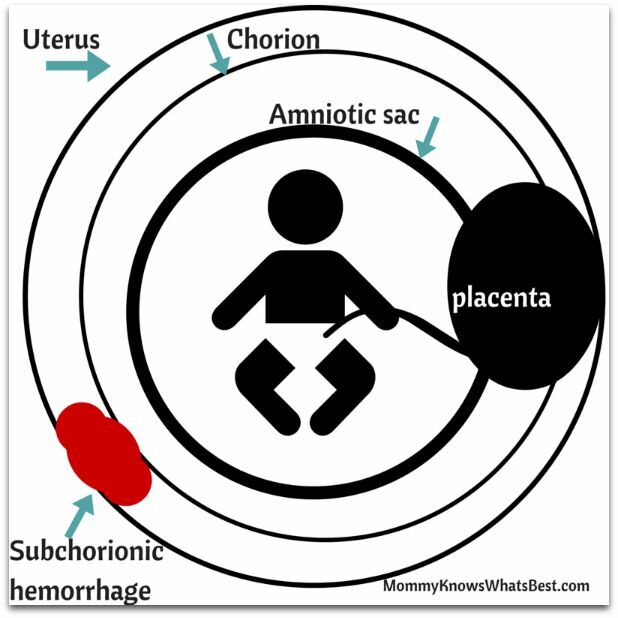 If the sch is on the opposite side of the placenta, I don’t see how it could move, but better be safe than sorry. I hope all goes well until delivery! I hope you will. Mine was close to my cervix, so they were not worried it would get to my placenta. I had my baby 4 weeks ago 🙂 mine dissolved most of it by itself, I kept a small one through the end of the pregnancy. They do believe it was the cause of my water breaking at 36 weeks, since it was so close to my cervix. But luckily my baby girl was ready to meet the world. She is healthy and doing great. Keep strong!!! I will be thinking of you. So glad to hear your baby is okay! Reading your story is encouraging and helpful for me. I am currently nine weeks pregnant with twins and I am having bleeding from a SCH also. Needless to say I have been scared and praying for the health of my babies and hoping that I am not about to loose my pregnancy. My doctor also says that I am a high risk pregnancy and may be threatening to miscarry. I too had a D&C two years ago and I had a C-section with my first pregnancy almost eight years ago. The babies are fine right now and I hope they continue to grow and are healthy. This has been the most helpful resource I’ve found in my searching on Google. They all sound so scary and hard to understand. Thank you. I’m sorry your experiencing an SCH. I hope all goes well! I’m glad this was able to help. I’m sorry to hear that. I hope everything turns out okay! Hello, your article help me understand my situation. I was diagnosed with SCH in my 12 weeks I was scared because there was a lot of blood flowed in my legs and it doesn’t stop. I was rushed to ER and found out on my ultrasound that there was blood clot near the babies head but heart beat is good and the baby is fine. Until now there is still blood coming out slowly. I decide to stop to work and have a bed rest until both of us, the baby is fine. I pray that we will be ok until the baby successfully deliver. Rojenifer, I hope all the best for you and the baby!! Katrisa, I will definitely keep you and your baby in my prayers! Thank you so much for your story! I really needed to hear this! I found out at 6 weeks I had a sub chorionic hemorrhage and by 12 weeks it had obsolved but I have still been so worried about my baby! This has given me so much hope that he is going to be a happy healthy baby like my other child! God bless you and your family!!! Brittany, I’m so glad to hear that your SCH has gone away! It’s totally normal to worry, but I send best wishes your way for a healthy pregnancy. Hi all I’m new on here I am 10 weeks and this is my third baby I have had 2 previous miscarriage.I was diagnosed with sch. I have had no bleeding or anything the doctor said it was only 1 cm big and she didn’t see it being a big problem. Jennifer, I’m sorry to hear that you have an SCH. It’s good that the doctors caught it early so that you at least know what’s going on. They should continue to monitor it to make sure that everything goes well. I hope that your pregnancy continues to be otherwise healthy!